December is a very busy month. For adults the time between Halloween and New Year’s Eve seems to fly by. However, children see the days creep along. Days are shorter, and nights are longer. For most of us, colder weather arrives; and boots, hats and mittens are constant outdoor essentials. December is now the twelfth month of the year. However, until 46 BC, it was the tenth month; it had only 29 days. December gets its name from the Latin word decem, meaning ten. Julius Caesar changed the calendar and added two more days to December. Turquoise and zircon are December birthstones. 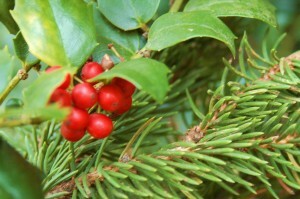 Poinsettias, holly, and narcissus are December flowers. Bingo’s Birthday Month celebrates the invention of the game. Edwin S. Lowe created Bingo in 1929. Now over five billion dollars are raised for charity each year through Bingo. Bingo can be an educational game. Children could develop a Bingo game around a theme. For example, use math facts or chemical elements. Universal Human Rights Month is sponsored by the International Society of Friendship and Good Will. 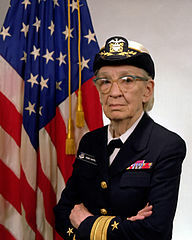 Computer Science Education Week wraps around Grace Murray Hooper’s birthday (December 9, 1906). This year Computer Science Education Week is December 3 through 9. Children can learn more at: https://csedweek.org/. Hanukkah begins at sundown on December 2, and ends at sundown on December 10. Winter Solstice occurs on December 21. Kwanzaa begins December 26, 2018, and ends January 1, 2019. New Year’s Eve is December 31.